The Rental Range of Inmesol generator sets, is aimed at temporary electrical supply, where the main applications are construction, public works, roads, underground constructions, concerts, celebrations, telecommunications, industries etc. The diesel Rental Range mainly stands out for its soundproof cabin designed and studied by our team of engineers to comply with the most rigorous specifications for noise emissions to the atmosphere. 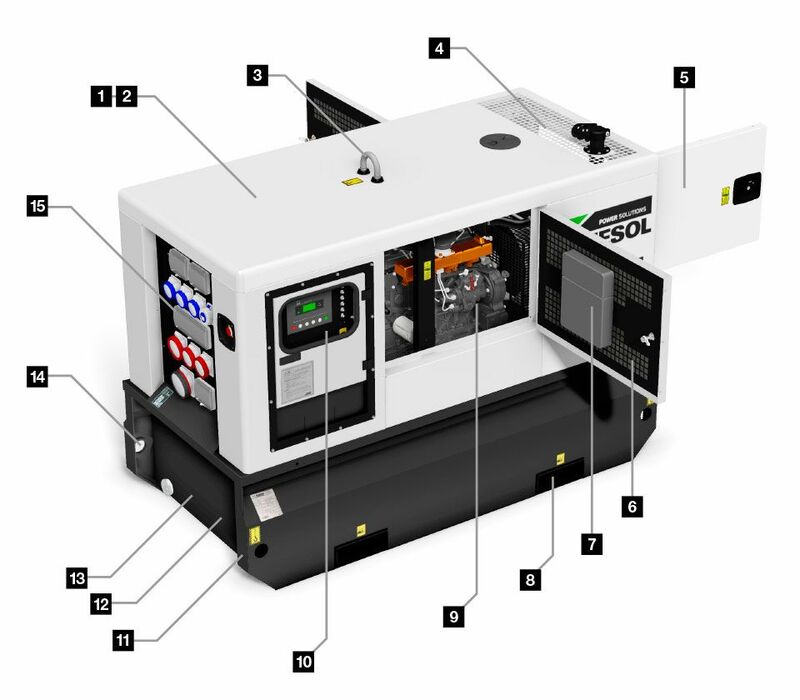 The INMESOL generator set for rental is designed and manufactured with robustness and solidity for work in severe weather conditions, taking into account the accessibility to the different parts of the generator set, which make the maintenance tasks easier. An important feature is the possibility of incorporating a mobile kit, either high or low speed. 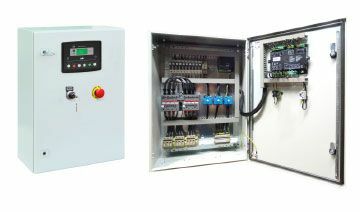 Unit Control Deep Sea 6010 MKII / 7310 (Depending on model, view table pages). Earth leakage (ajustable from 66 kVA LTP) 4P. 24 h fuel tank and heavy duty skid. These gensets are ideal for working in severe weather conditions. They are characterized by being robust, compact and technically innovative equipment. They comply with any possible requirement, including those of European regulations on low levels of noise emissions and emissions of gases into the atmosphere. Acoustic isolation (very low sound levels). PROTECTED with QUALICOAT paint that provides high resistance to ultraviolet radiation and ensure durability even under severe and extreme environmental conditions. LIFTING HOOK, guaranteeing stability and safety in transfer operations. UPPER AIR EXHAUST contributes to reducing the noise emissions. WIDE DOORS that facilitate maintenance operations. SOUND PROOF DOORS protected by a metal grid. LARGE LIFTING POCKETS to facilitate handling and transport. CONTROL PANEL PROTECTED FROM RAIN, damage and unwanted access by a locked door. HEAVY DUTY SKID that protects the socket kit and control panel from damage in transport operations. 24H FUEL TANK with internal reinforcements and baffle walls that prevent sloshing of fuel when the gen set is transported with a full tank. RETENTION BUND (capable of retaining up to 120%). ON-OFF BATTERY SWITCH: detachable piece, which when removed means the equipment cannot be manipulated. The DSE 6010 MKII is an advanced controller that has a wide range of functions, outputs, inputs and a large screen to view the status and measurements. For all KOHLER, FPT-IVECO and VOLVO engines until and including 220 kVA (LTP). The DSE 7310 is an advanced controller with all the features of DSE 6010 MKII and more function, inputs and outputs. It includes comunication ports. From 275 KVA (LTP) for FPT-IVECO & VOLVO engines. Fast fuel plug connection between external and internal fuel tank. DSE890 Gateway - 3G (GSM)/Ethernet. Kit of 3-way valves for external fuel tank. Coolant level sensor in radiator..
Socket kit prepared to get the maximum power from the generators. This configuration is standard.